We provide chiropractic adjustments supported by therapies such as dry needling, electronic stimulation and low level laser therapy. A doctor of chiropractic (a D.C., also known as a Chiropractor) is dedicated to the non-surgical treatment of disorders of the nervous system and musculoskeletal system. Spinal manipulation has also been shown to be helpful in the treatment of lower back pain as well as herniated discs, whiplash, and neck pain. Specific spinal manipulation is a professional method of restoring motion to spinal joints that are restricted, arthritic, or surrounded by muscle spasm that is causing a lack of mobility. Dr. David Doyle has been practicing chiropractic for 20 years in Colorado Springs and would like the opportunity to provide your chiropractic care. 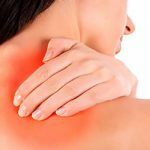 Acute pain is pain that has recently occurred, and is frequently the result of accidents resulting in back pain or whiplash. Treatment for a new or acute problem usually involves a treatment plan including physical therapy modalities to reduce pain and inflammation followed by specific spinal manipulation to restore joint mobility and alignment. Treatment is generally done frequently for two weeks, and then the frequency of care is tapered appropriately. This is the type of pain that is long-standing (more than 3 months). 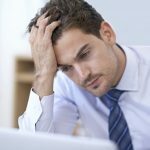 This type of pain can be caused by poor posture, prolonged sitting/computer work, or old unresolved injuries from auto accidents or falls. Chiropractic care for chronic pain generally involves spinal manipulation as well as addressing any deconditioning, muscle imbalances, and lifestyle changes. With either type of pain, goal setting and expectation management are very important. Compliance with care recommendations and lifestyle changes is also important, as the body responds naturally to care. Chiropractic care has been shown to be safe and effective for both types of pain and should be strongly considered as the front line treatment for spinal pain. 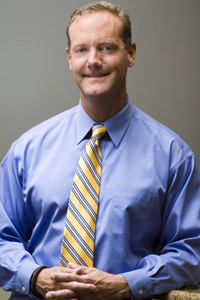 Dr. Doyle is originally from Columbia, SC and currently lives and works in Colorado Springs, CO. He suffered an injury to his middle back playing football in high school, and after many months of frustration with medical management, which primarily included anti-inflammatory medication, he went to see a chiropractor. The approach to care was logical and functional, and the relief was immediate. After a few short weeks, the pain was gone and he was back on track with normal workouts. He worked in the ER during college and planned to pursue medicine after finishing his degree in Exercise Physiology at University of South Carolina. However, he continued to seek chiropractic care for occasional strains and injuries related to skiing, lifting, etc, and realized his functional knowledge of the body would transition well to chiropractic training and practice. He attended Logan Chiropractic College in St Louis, MO, and graduated in 1996. He also continued his education with the National Strength and Conditioning Association, getting his Certified Strength and Conditioning Specialist degree in 2011.With this, he is able to help patients formulate plans for self care that improve posture and strength, which complement the results of their regular chiropractic care. Dr. Doyle is married with three children. He enjoys outdoor physical activities, regular resistance training, and studying nutrition and exercise. He is glad to consult with you regarding your health care concerns and provide excellent chiropractic care. Chiropractic care for lower back pain is a functional and corrective approach at treating the cause of the problem, not just the symptoms. 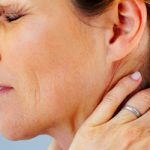 Neck pain is typically caused by inflammation of the muscles in the neck, strain, spinal misalignment, and nerve root irritation. This nerve starts in the location of the spinal cord passing through the sacrum, the lower part of the back, and then on to the hip traveling down the leg. With knowledge of the nervous system, muscles, posture, nutrition, breathing patterns, etc, chiropractic treatments are able to address the sources of your stress and create a plan that is natural. Whiplash refers to the sudden acceleration/ deceleration of the head and neck that comes from a car accident, roller coaster ride or slip and fall. This type of arthritis is due to overuse, bad posture, previous trauma, and is basically excessive loading or “wear and tear” of the spinal joints. 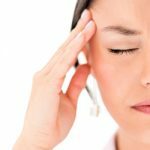 When your spine is not functioning properly it can put pressure on your nervous system, which can lead to a number of symptoms such as headaches or migraines. Establishing pelvic balance and alignment during pregnancy can be very beneficial for the mother’s health and for a more successful delivery of the baby.